Nest Protect is an industrial smoke sensor which can tells you what’s wrong and can even alert your phone. 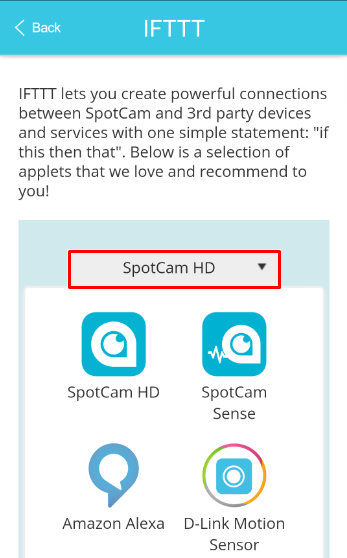 SpotCam is integrated with Nest Protect via a popular platform called IFTTT (If This Then That). 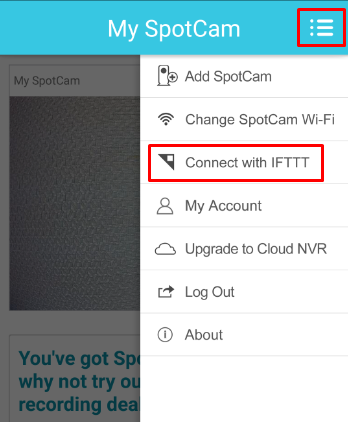 Here is step by step instructions on how you can enable IFTTT service for your SpotCam and then connect it with Nest Protect. 4. Choose the Applet you like to use, you can easily find Applets related to Nest Protect by using the filter at top right side of the page. 5. 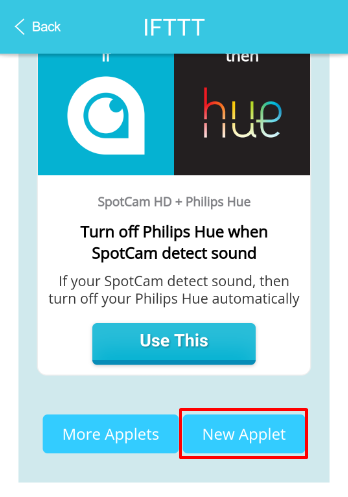 After you select a Nest Protect Applet, you will see a card like below, please swipe to turn on the service. 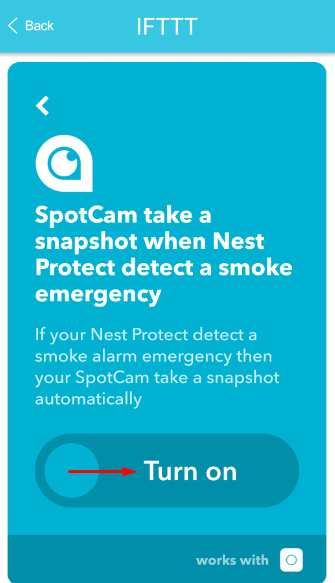 You may be asked to log into your Nest Protect account and permit IFTTT service connect to your Nest Protect, please follow the instruction on screen then you are ready to go. 3. 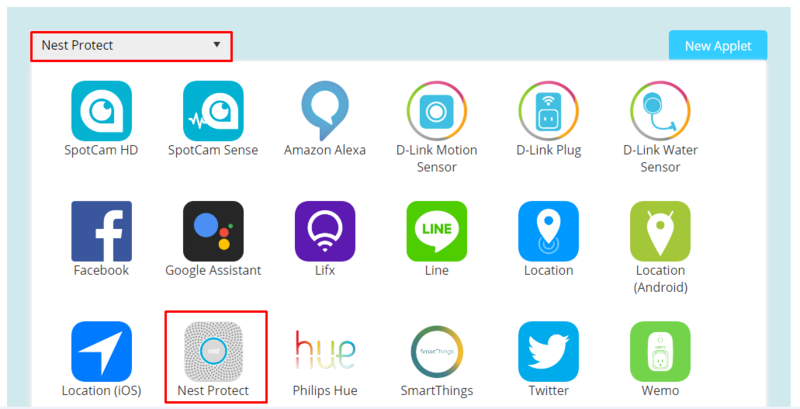 Choose the Applet you like to use, you can easily find Applets related to Nest Protect by using the filter at top right side of the page. 4. After you select a Nest Protect Applet, you will see a card like below, please swipe to turn on the service. 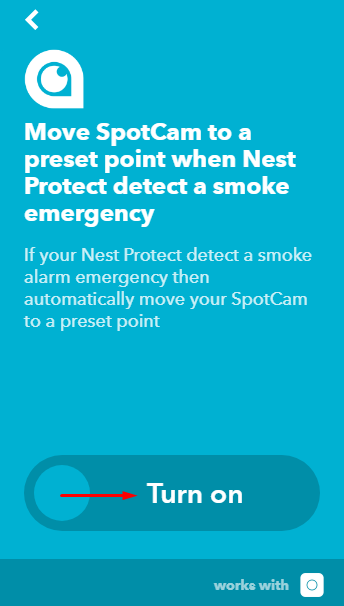 You may be asked to log into your Nest Protect account and permit IFTTT service connect to your Nest Protect, please follow the instruction on screen then you are ready to go.